"When the doctor said that my son has Cancer, it broke me. I cried for days. 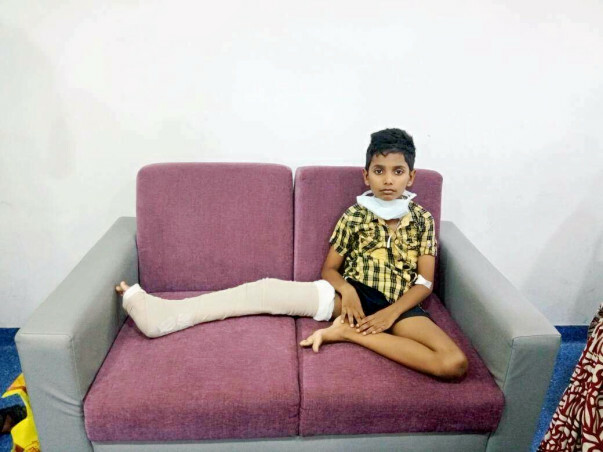 When it came to someone I know falling sick or being in pain, I could expect a bad cold, a food poisoning or even small bruises and cuts, but to think that my own son is battling a life-threatening disease, no, I could not take that,” Naren’s father Sakthivel recalls the worst day of his life. 10-year-old Naren used to be like most boys his age. He loved cricket and spent most of his time playing cricket, in school and in the evenings, he could be spotted playing with friends on the field. It was about 3 months back that Naren had started complaining of a pain just below his knee. After trying the normal remedies, his parents took him to a local doctor, who gave him medicines for ordinary pain. Sakthivel is a handloom worker, and makes mosquito nets, while Sandhya, his wife is an Anganwadi worker. 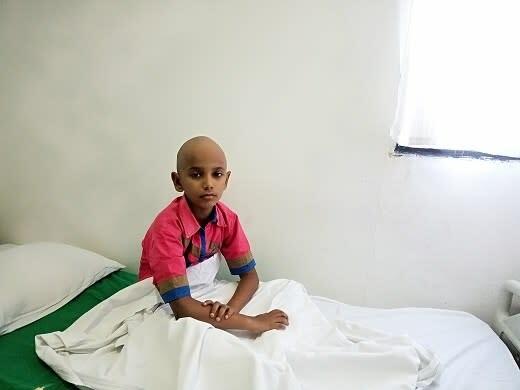 Since Naren has been hospitalized, they have stopped going for work, and are with him all the time, running around the hospital, ensuring their son's treatment lacks nothing. With no income, they are still ensuring Naren gets his chemotherapy on time. Naren is too small to know what has happened to him. His father is scared he would break if he found out what it is that he is battling. He hates being in the hopital. It scares him a lot. “Appa, when will we go back home,” Naren innocently and patiently asks everyday that he spends in the hospital. 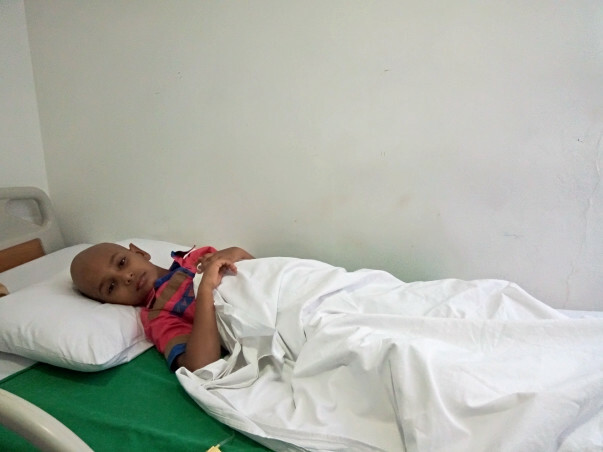 With your support, Naren can undergo another round of chemotherapy and be a step closer to a cancer-free life. Here is an update on Naren. Naren has completed his 3rd cycle of chemotherapy and after that, he has undergone a surgery also. He has to undergo three more chemotherapy sessions. 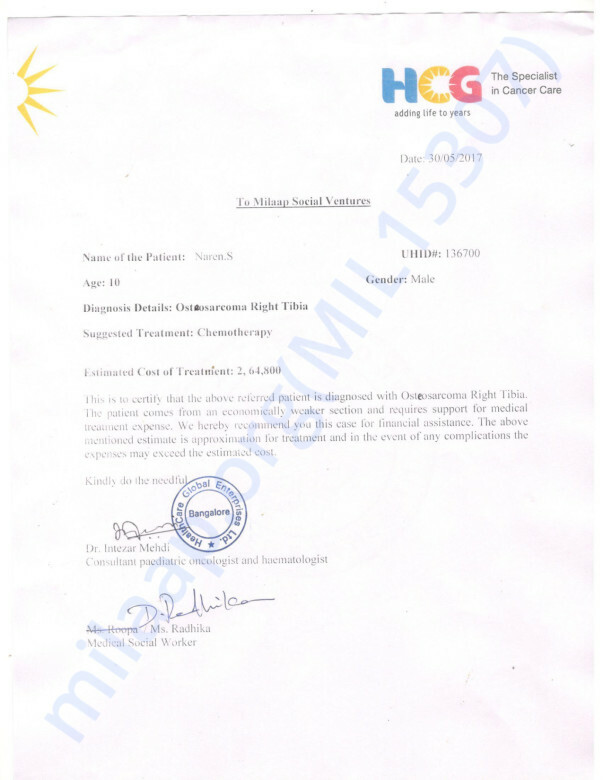 Master Naren has completed total two cycles of Chemotherapy. There are general side effects. He lost his long thick hairs. His parents didn't lose their hope. Please share this with your friends and family. Thank you for all the love and support. Please do pray for his health.